WHEN Connie McCallum was knocked down and broke almost every bone in her body she was lucky to survive. But, believe it or not, the brush with death actually saved her life. 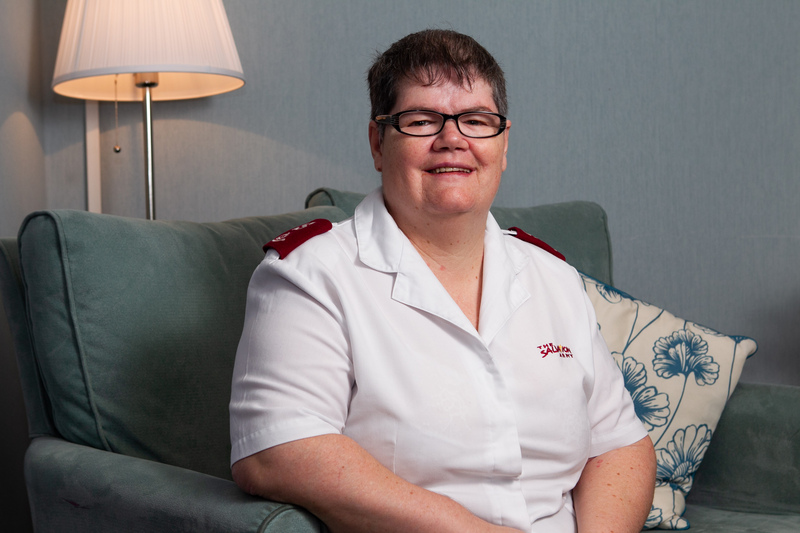 Few people would consider it a blessing to be in such a serious accident but Salvation Army chaplain Connie couldn’t be more grateful. The 51-year-old, from Edinburgh, was on her way to a doctor’s appointment when she was run over. But it was during treatment for her injuries that medics discovered a potentially fatal lump on her adrenal gland that would have otherwise remained undiscovered. Now, almost two years after the accident, she has made an amazing recovery. “I’m a walking miracle,” she said. “It really is amazing. I broke almost every bone in my body. “I broke my shoulder, smashed my elbow, broke my hip and the bottom of my leg. I had a broken pelvis and umpteen broken ribs. I also suffered damage to my face and teeth. “But during my scans they noticed abnormalities and discovered I had a lump that was active. “They also found I had Conn’s syndrome, a one-in-a million disease of the adrenal gland. Connie, who spent five months in hospital, remembers the accident as if it was yesterday. “I remember crossing the road and being hit by the car,” she said. “The doctor who treated me said someone was looking after me that day because a nurse was walking past when the accident happened. “I remember a lady telling me to stay still. That was her. She stayed with me until the ambulance arrived. Connie, who has been a Christian minister for 25 years, says her faith and the support of friends and colleagues, who organised a rota to make sure she had a visitor every day, helped her cope with the dark days. “There wasn’t a day in five months I didn’t have a visitor,” she said. “The nurses asked if I was a celebrity. Having that support was really quite overwhelming. “I’m used to showing love to other people, so to have that reciprocated in such a way was incredible. “That got me through the excruciating pain and the times I wondered if I’d ever recover. Connie is now back working full-time at Eagle Lodge Care Home in Leith – a role she wouldn’t swap for the world. “I love my job,” she said. “It’s a privilege to be able to build relationships with the residents and their families. When I was in hospital, our care home manager Ian Bell would go round the home with his iPad and I’d chat to residents and staff on a video call. That was special. “My mum has dementia and has been 17 years in a care home so I understand the importance of that support from a relative’s point of view. “Often I will sit with families at the end of someone’s life. I will visit residents in hospital and offer whatever support is needed.